Körber, Andreas on Gamification as a Miracle Cure for Public History? Brodrick, Stephan on Gamification as a Miracle Cure for Public History? Neeb, Sven Alexander on Gamification as a Miracle Cure for Public History? Davison, Martyn on Difficult Histories: Optional or Essential? Guyver, Robert on Difficult Histories: Optional or Essential? 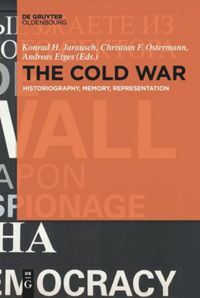 Orange, Claudia on Difficult Histories: Optional or Essential? Kiem, Paul on Difficult Histories: Optional or Essential? Ball, Graeme on Difficult Histories: Optional or Essential? Mittnik, Philipp on History Textbooks – what and whom are they for? Bernhard, Roland on History Textbooks – what and whom are they for? Ammerer, Heinrich on History Textbooks – what and whom are they for? Khodnev, Alexander on Public History in Russia: What Is It? Sakka, Vassiliki on Who Owns the Museum Narrative? Piecyk, Paweł on Who Owns the Museum Narrative? Kostro, Robert on Who Owns the Museum Narrative? Smart, Dean on Who Owns the Museum Narrative? Piela, Mateusz on Who Owns the Museum Narrative? Koren, Snježana on Who Owns the Museum Narrative? Piotrowska-Marchewa, Monika on Who Owns the Museum Narrative? Körber, Andreas on Who Owns the Museum Narrative? Ruchniewicz, Krzysztof on Unfortunate Choice of Words – or Is There More Behind It? Emmer, Theo on Unfortunate Choice of Words – or Is There More Behind It? Noiret, Serge on Public History in Russia: What Is It? Menrath, Manuel on National Day at School? Kaufmann, Helen on Are Monuments History? Eloundou, Eugène Désiré / Nkoumou Melingui, Christian Georges on National Day at School? Schillig, Anne on Can Architecture Embody Good and Evil? Kesteloot, Chantal on Public History, A Necessity in Today’s European Union? Cauvin, Thomas on Public History, A Necessity in Today’s European Union? Rüsen, Jörn on Racism – A Killing Argument in Cultural Studies? Eloundou, Eugène Désiré on Should History Promote National Identification? Seixas, Peter on Should History Promote National Identification? Muralt Müller, Hanna on How Should The History of One’s Own Country Be Taught? Mbapndah Ndobegang, Michael on How Should The History of One’s Own Country Be Taught? Hug, Stephan on How Should The History of One’s Own Country Be Taught? Heuer, Christian on How Should The History of One’s Own Country Be Taught? Memminger, Josef on The Downfall?! Can History Teaching Still Be Saved? Körber, Andreas on Should History Promote National Identification? Sáiz, Jorge on Should History Promote National Identification? Körber, Andreas on Racism – A Killing Argument in Cultural Studies? Dippel, Uwe on Racism – A Killing Argument in Cultural Studies? Sandkühler, Thomas on Racism – A Killing Argument in Cultural Studies? Weber, Philippe on Racism – A Killing Argument in Cultural Studies? Körber, Andreas on A Guarantee for Disciplinary Inclusive Education? Barsch, Sebastian on A Guarantee for Disciplinary Inclusive Education? John, Anke on Monuments: Disputed, Transient, increasingly Utopian? Rüsen, Jörn on A Guarantee for Disciplinary Inclusive Education? Demantowsky, Marko on Racism – A Killing Argument in Cultural Studies? Wojdon, Joanna on Do We Need Public History Study Programs? Thünemann, Holger on Monuments: Disputed, Transient, increasingly Utopian? Richling, Marian on The Downfall?! Can History Teaching Still Be Saved? Salvatori, Enrica on A Museum of Fascism where Mussolini Was Born and Buried? Stikhina, Maria on Do We Need Public History Study Programs? Kesteloot, Chantal on A Museum of Fascism where Mussolini Was Born and Buried? Karamanski, Ted on Do We Need Public History Study Programs? Cauvin, Thomas on Do We Need Public History Study Programs? Cauvin, Thomas on A Museum of Fascism where Mussolini Was Born and Buried? Schillig, Anne on “Reenactment” – Dangerous Fun? Franklin, Eric on “Reenactment” – Dangerous Fun? Samida, Stefanie on “Reenactment” – Dangerous Fun? Martin, Daisy on What is a “worthy” test for History? Rösch, Matthias on A Museum for Every School! Apostolidou, Eleni on On the Grammars of School History: Who Whom? Bernhardt, Markus on Back to Nationalism. No Future for History? Heese, Thorsten on A Museum for Every School! Körber, Andreas on A Museum for Every School! Wojdon, Joanna on A Museum for Every School! Bärbel Völkel on Back to Nationalism. No Future for History? Pandel, Hans-Jürgen on Theory of History Knowledge: Poor. Waldis, Monika on What is a “worthy” test for History? Meyer-Hamme, Johannes on What is a “worthy” test for History? Khodnev, Alexander on The Colosseum! What else left over from history education? Prüfer, Thomas on Who We Are: Public Historians as Multiple Personalities? Memminger, Josef on Who We Are: Public Historians as Multiple Personalities? Abakoumov, Arkady on The Colosseum! What else left over from history education? Prokopenko, Sergey A. on The Colosseum! What else left over from history education? Suprun, Michael N. on The Colosseum! What else left over from history education? Vajda, Barnabas on Theory of History Knowledge: Poor. Bublitz, Matthias on Theory of History Knowledge: Poor. Nitsche, Martin on Theory of History Knowledge: Poor. Demantowsky, Marko on Theory of History Knowledge: Poor. Hellmuth, Thomas on Theory of History Knowledge: Poor. Schröer, Ludger on Theory of History Knowledge: Poor. Pallaske, Christoph on Theory of History Knowledge: Poor. Levesque, Stéphane on Why Historical Narrative Matters? Bernhardt, Markus on Bilingual History classes (CLIL) – no, thanks! Wörner, Kai on Bilingual History classes (CLIL) – no, thanks! Garske, Lukas on Bilingual History classes (CLIL) – no, thanks! Khodnev, Alexander on Why We Still Need Textbook Commissions? Garske, Lukas on Why Historical Narrative Matters? Griessler, Christina on Populism: A political combat term? den Heyer, Kent on Why Historical Narrative Matters? Sandner, Günther on Populism: A political combat term? Parkes, Robert on Big History: Can life go on without a meta-narrative? Gonzalez De Oleaga, Marisa on Lenin and Marx as Symbols of Liberation? Carretero, Mario on Lenin and Marx as Symbols of Liberation? Plá, Sebastián on Lenin and Marx as Symbols of Liberation? Goschler, Constantin on “Public History” – Sublation of a German Debate? Samida, Stefanie on “Public History” – Sublation of a German Debate? 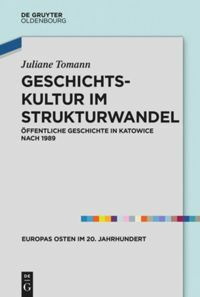 Thünemann, Holger on “Public History” – Sublation of a German Debate? Khodnev, Alexander on “Public History” – Sublation of a German Debate? Thünemann, Holger on Do curricula inspire historical thinking? Urbach, Dirk on Do curricula inspire historical thinking? Lucke, Susanne / Ludger Schröer on Do curricula inspire historical thinking? Schmidtmann, Christian on Do curricula inspire historical thinking? Klein, Stephan on What heritage day? Grewe, Bernd-Stefan on Big History: Can life go on without a meta-narrative? Noor Davids, M. on What heritage day? Demantowsky, Marko on “Race” — a necessary category? van Eeden, Elize on The science of history turns – even in school? Imre, Robert on Big History: Can life go on without a meta-narrative? Boss, Renee on Teaching Historical Thinking: Dilemmas not Dichotomies! Pallaske, Christoph on Sprachverwirrung. Was ist ein geschichtsdidaktisches Medium? Mittnik, Philipp on “Race” — a necessary category? Gautschi, Peter on Lehrplanentwicklung: Kill your darlings? Nitsche, Martin on Thinking about Competency-oriented Learning. New Realism or ‘Old’ Pragmatics? Hedinger, Franziska on Der Einbürgerungstest. Geschichte als Eintrittskarte? Kühberger, Christoph on Subjektorientierung. Können Lernende selbstständig historisch denken? Benz, Stefan on Sprachverwirrung. Was ist ein geschichtsdidaktisches Medium? Hodel, Jan on Sprachverwirrung. Was ist ein geschichtsdidaktisches Medium? Schulz-Hageleit, Peter on Subjektorientierung. Können Lernende selbstständig historisch denken? 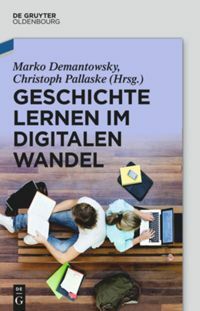 Ventzke, Marcus on Lehrplanentwicklung: Kill your darlings? Bernhardt, Markus on Der „späte Sieg der Diktaturen“ – Resultat ergebnisoffenen Unterrichts? Hamann, Christoph on Der „späte Sieg der Diktaturen“ – Resultat ergebnisoffenen Unterrichts? Thünemann, Holger on Farewell to Historical Consciousness? Sauer, Michael on “Sinnbildung über Zeiterfahrung” – eine Leerformel? Handro, Saskia on Der „späte Sieg der Diktaturen“ – Resultat ergebnisoffenen Unterrichts? Sauerländer, Dominik on Antiziganismus. Was können wir tun? Lotto-Kusche, Sebastian on Antiziganismus. Was können wir tun? Schulze Heuling, Dagmar on Der „späte Sieg der Diktaturen“ – Resultat ergebnisoffenen Unterrichts? Schlutow, Martin on Bilingualer Geschichtsunterricht. Ein Puzzle, das nicht passt? Hellmuth, Thomas on Trachten heute – mehr als ein modischer Spleen? Furrer, Markus on “Die Schweizer”. Welches Geschichtsbild braucht die Willensnation? Körber, Andreas on “Sinnbildung über Zeiterfahrung” – eine Leerformel? Frings, Andreas on “Sinnbildung über Zeiterfahrung” – eine Leerformel? Lautzas, Peter on Farewell to Historical Consciousness? Brauch, Nicola on “Sinnbildung über Zeiterfahrung” – eine Leerformel? Völkel, Bärbel on Farewell to Historical Consciousness? Sandkühler, Thomas on Antiziganismus. Was können wir tun? Lücke, Martin on “Sinnbildung über Zeiterfahrung” – eine Leerformel? Rüsen, Jörn on “Sinnbildung über Zeiterfahrung” – eine Leerformel? Schär, Bernhard on Antiziganismus. Was können wir tun? Hartung, Olaf on Sprachlos im Geschichtsunterricht? Utz, Hans on “Die Schweizer”. Welches Geschichtsbild braucht die Willensnation? Plessow, Oliver on Trachten heute – mehr als ein modischer Spleen? Geiss, Peter on Bilingualer Geschichtsunterricht. Ein Puzzle, das nicht passt? Plessow, Oliver on Mehr Denkmäler – weniger Gedenken? Thünemann, Holger on Mehr Denkmäler – weniger Gedenken? John, Anke on Mehr Denkmäler – weniger Gedenken? Nitsche, Martin on Vorbilder aus der Geschichte? Kühberger, Christoph on Inklusion und Geschichtswettbewerb – Barrierefreier Geschichtswettbewerb? Schaer, Andrea on Vorbilder aus der Geschichte? Muth, Robert on 200 Jahre Völkerschlacht – Was bleibt nach der Eventisierung? Demantowsky, Marko on Vorbilder aus der Geschichte? Fenn, Monika on 200 Jahre Völkerschlacht – Was bleibt nach der Eventisierung? Heuer, Christian on 200 Jahre Völkerschlacht – Was bleibt nach der Eventisierung? Förster, Birte on 200 Jahre Völkerschlacht – Was bleibt nach der Eventisierung? Rethmeier, Martin on 200 Jahre Völkerschlacht – Was bleibt nach der Eventisierung? Barsch, Sebastian on Inklusion und Geschichtswettbewerb – Barrierefreier Geschichtswettbewerb?